Soon after, however, a large group of the Elves of Lórien join the defences. Elrond, at the prompting of Galadriel, sends the Elves under the command of Haldir of Lórien to reinforce the defence of the keep. Haldir is clearly some kind of a Captain or a commander under Galadriel, not Elrond. Why would Elrond send an army from Rivendell under the command of Haldir? This doesn't really make any sense to me except perhaps that Peter Jackson wanted to reuse an existing and familiar character. What actually happens in the books? It's a very long time since I've read them and I have absolutely no memory about these events. In the books the Elves of Lorien (and the Woodland Realm) were too busy defending their own borders, and other Elves would be too far away (Lindon and Rivendell) or too few (Rivendell again) to intervene. So none of them were in a position to help Rohan, or anyone else. "But there are some of us still who go abroad for the gathering of news and the watching of our enemies, and they speak the languages of other lands. I am one. Haldir is my name." -- Haldir in The Fellowship of the Ring, Book II, Chp. 6 "Lothlórien"
As a part of his charge to defend Lórien, Haldir would be familiar with the terrain of nearby Rohan and Helm's Deep. The books state he was well-traveled outside of Lórien. Rivendell however is far to the North and on the other side of the Misty Mountains. 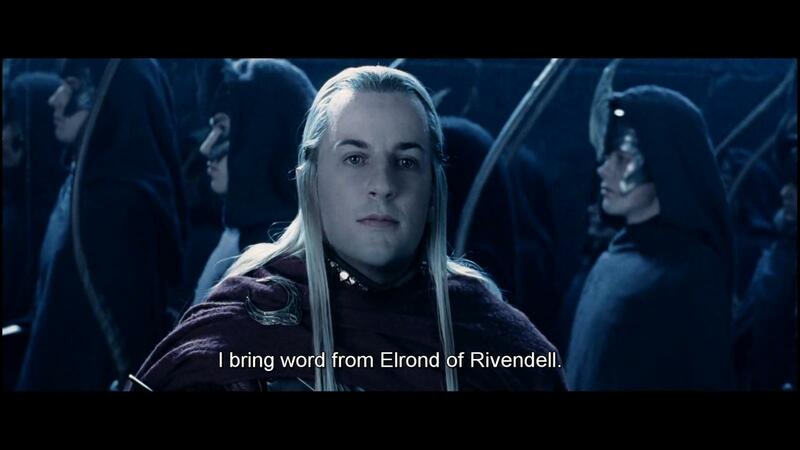 A side note: when Haldir states he brings "word from Elrond of Rivendell" that doesn't mean he personally spoke with Elrond. Whoever marched the detachment from Rivendell could have served as the courier to Haldir (or Galadriel herself, since she and Elrond communicate telepathically). 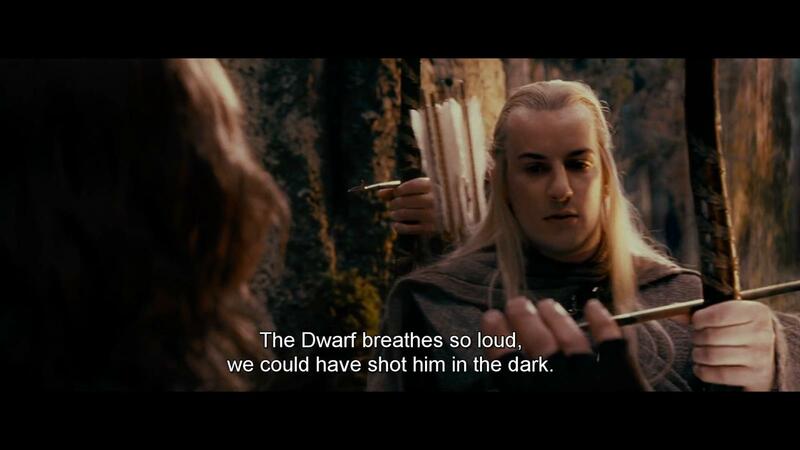 When he arrives at Helm's Deep, Haldir relays the message to Aragorn as the latest link in the chain, but not necessarily the only one. 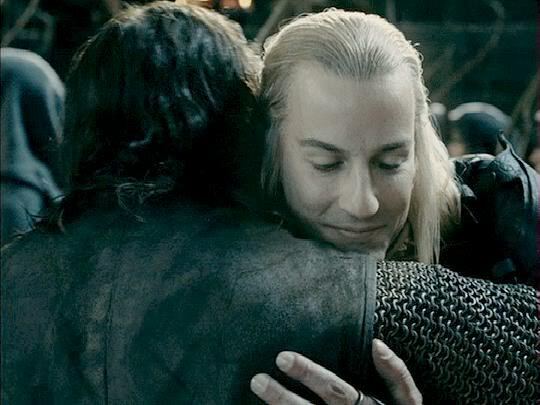 So there you go: Haldir knows the land, the language and the leader. Makes perfect strategic sense for him to command. Not the answer you're looking for? Browse other questions tagged the-lord-of-the-rings tolkiens-legendarium the-two-towers or ask your own question. What is Elrond's position/status, as compared to Galadriel's? Why was Frodo not allowed to wear the Ring before Rivendell but was allowed after? Why was Gimli chosen to sound the horn at Helm's Deep? Why did it take Gondor and Rivendell so long to send aid to Arnor?